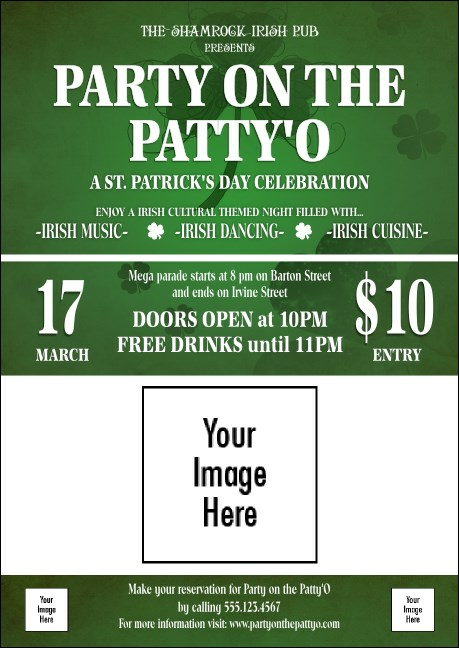 Promote your event with the luck of the Irish when you send out personalized St. Patrick’s Day Shamrock Postcards for your spring event. An Irish blessing in disguise, these Postcards feature an elegant, bold green background with a pretty shamrock design and give you space to upload three of your own images to the template. Irish eyes are smiling at TicketPrinting.com.